Shoes are a very big part of your outfit, and people will look at your shoes, as it says a lot about you. We will look at different types, shapes, colors, materials, and shoe care. You can always look at our other articles, about Pocket Squares, Cufflinks, Belts, Socks and Ties. 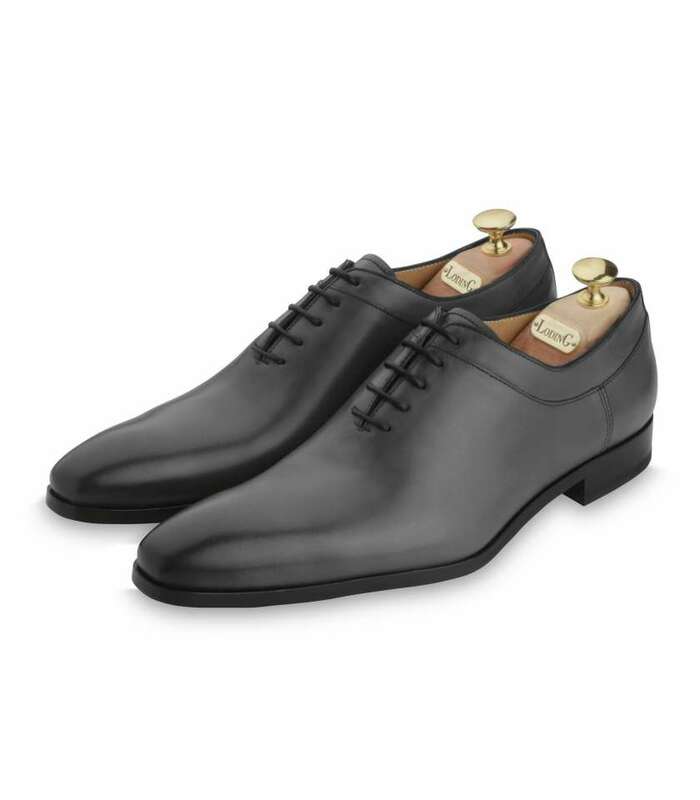 Shoes come in a lot of different types, Derby/Blucher, Oxford/Balmoral, Slip On, Chelsea and Chukka Boots, Monk Strap. They all have their place for different type of outfits, more or less formal. 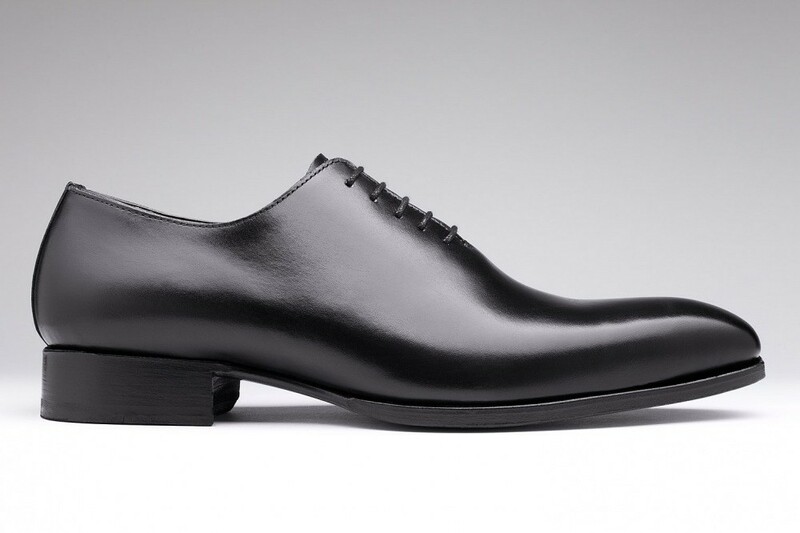 For business use, we will prefer Oxfords, they are the most elegant and quite formal, which will work well for business. 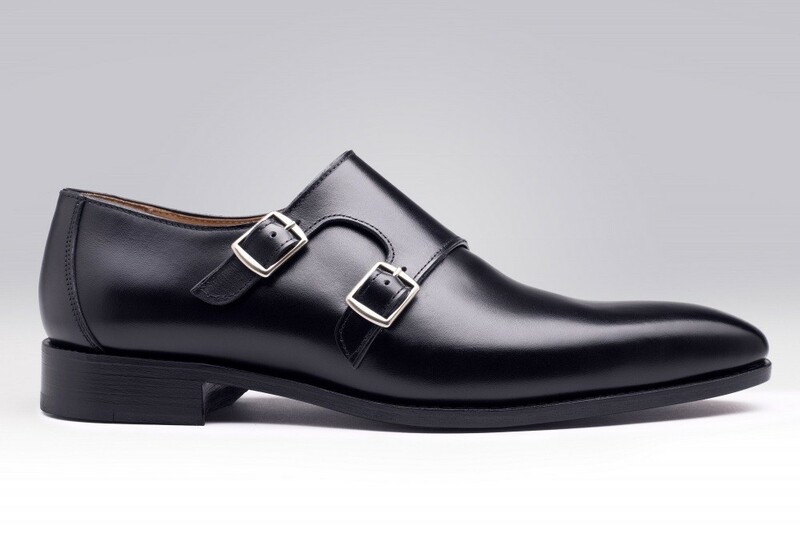 You can also wear monk straps if you are in industries like finance, banking, law. They work well but not for everyone. In the shapes, we will address two different subjects. The toe shape of the shoes and the toe decorations.. There are a few toe styles, from round toe, chiseled toe, square toe are the main ones. Out of these we will solely select chiseled (pointy) toes and round toes. It all depends on how your foot feels in it. If you have a wider foot, most likely a chiseled toe will be a little bit tight on the front of the shoe, so a round toe might suit you better. Decorations, there are four acceptable ones for a business look. Plain toe: This is simple, no decoration on this one, you can see it pictured above on a Wholecut shoe (one piece of leather and one stitch on the heel of the shoe. Cap toe: One stitch going across the toes, you will have other stitches around the shoe, but a single one on the front. Wingtip: Wing shaped stitches on the front of the shoe with medallion (perforations). Here shown with full brogue detailing, includes pinking on wing tip. Cap Toe with Medallion: Cap toe with medallion (perforations) here shown with semi brogue detailing (there is perforations on the saddle but not on the heel). There are shoes in many different colors, however, mainly two colors will stand out for business wear. Black and Brown will be those two colors, but there are a lot of shades of brown, so make sure you pick one that you will be able to match with your belt collection. It’s key. 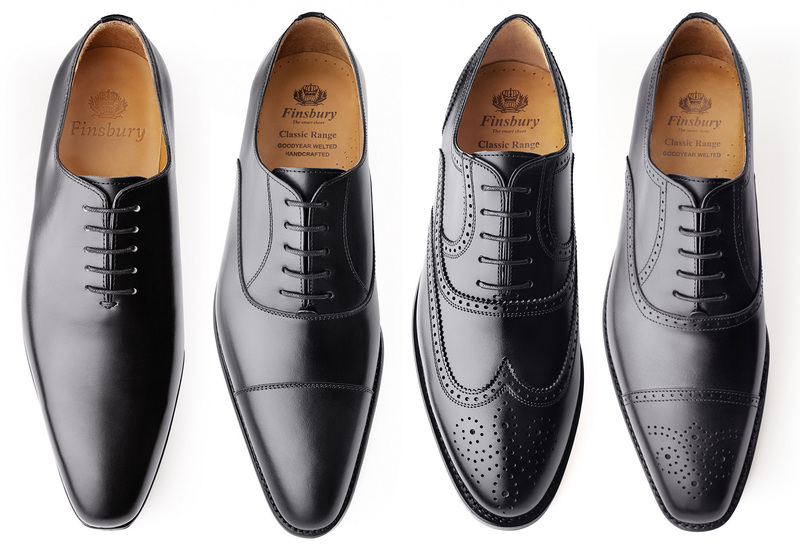 Black Shoes are the more traditional approach, they work with the four main suit colors – Charcoal, Navy, Blue and Light Gray. So if there had to be one, black shoes will be your first choice. Brown shoes on the other hand work with Navy suits, Blue Suits, and some people wear them with light grey suits (I personally don’t). Now with a Brown shoe, even more when it’s a whole cut, you can play with patina. Patina is the fact of having your shoe painted by hand to show a gradient between two different shades of brown. Patina is an art, and therefore comes at a certain price, but makes a world of difference. I In conclusion, when you get custom patina on your shoes, make sure you ask your cobbler to make you a belt strap matching the shades. I personally sometimes wear grey shoes (shown below) with Navy and Blue suits as they match the profile really well. There are different way to stitch shoes. 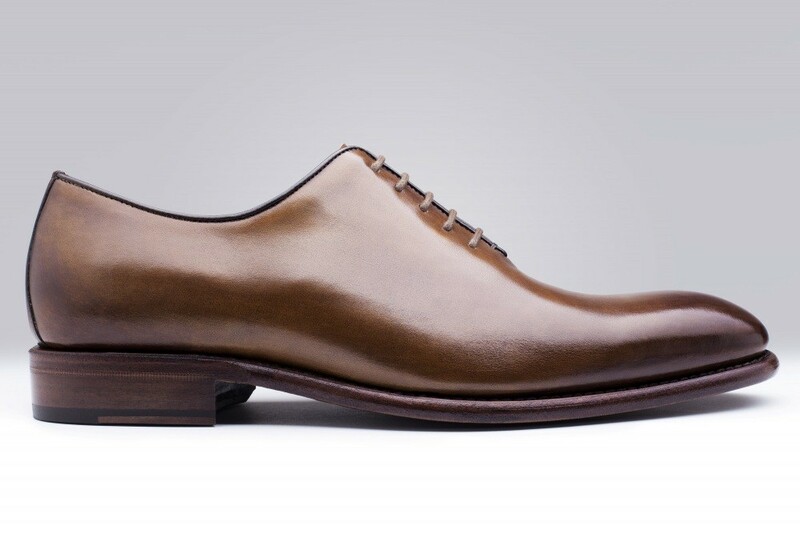 In this case we will focus on shoes with leather soles, as these are the staple of a quality shoe. I really advise against buy any shoe with a rubber sole or using man made materials, they won’t last and won’t look good. So, back to our leather shoes. There are two types of welting. Good Year welting: Goodyear welting is the oldest, most labor intensive, and most durable of the three methods of construction. The first part is to create a perpendicular “rib” that runs across the insole. The second step is to last the shoe. This is to stretch the outsole over the last and attaching it, along with the insole, to the last. Part three is the actual welting. At this point shoe-specific thread is sewn through the welt, the upper, and the insole rib. The extra layers make the shoe more water resistant and supportive. Blake welting: Blake is the simplest and most common. The stitching is done on the inside of the shoe, the upper is wrapped around the insole and attached between it and the outsole. A single stitch attaches everything together. Blake welting is also superior when seeking a close-cut sole. I personally like Blake stitched shoes over Good Year as I enjoy a close cut sole. One material is actually acceptable for shoes, leather. Yes, real leather only, any man made material (fake leather) will look terrible and will show from a distance. Calf Leather is usually used to craft those types of shoes as its dynamic properties make it ideal to add flexibility and form. The soles are usually made of cow hide leather for extra durability. How to care for your shoes, there are a few things to keep in mind. 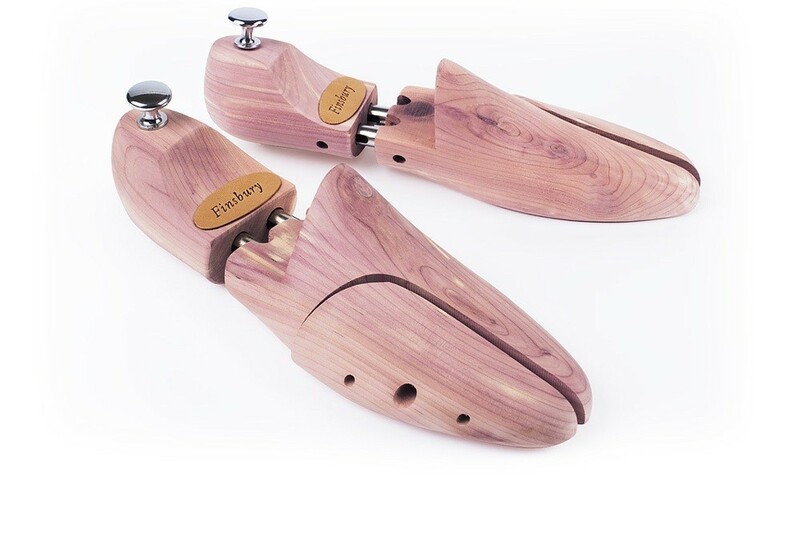 Shoe trees will help you keep the shape of the shoe when you are not wearing it, meaning it will avoid creases to form on the top of the shoe. Shining your shoes is key, you can either do it yourself, it’s a great stress reliever or have someone do it for you. But as much as you wouldn’t want to go out without brushing your teeth, you want to have your shoes shined perfectly. It does not take long at all, and it’s very gratifying. I would recommend you to use Black shoe Polish for your black shoes. There is color matched polish for your other shoes or neutral polish would work well with others. Use a dauber to apply the polish, then a thick hair (Horse hair) brush to shine the shoe. You will finish it with a microfiber gloss to apply the desired shine. Make sure you have one set of brushes per color of polish. In conclusion of this shoe guide, I hope it will help you finding your next pair. I shop in France as the shapes available are fitting the shape of my foot better. Finsbury is my store of choice. Most of the images found on this article come from their website.